Both the neoconservative Right and the neoliberal Left have vied for dominance in America’s political system since the 1970s, when then-President Jimmy Carter first elevated Zbigniew Brzezinski as his national security adviser and also made humanitarian issues a centerpiece of the Carter foreign policy agenda. From then on, the United States wavered in its firm commitment to merely upholding the strict, national interest to becoming a “global force for good” (whatever that means). After that, the election of the otherwise great president, Ronald Reagan, also shepherded into power a group of former Trotskyists-turned-anticommunists, the neoconservatives. Both the neoliberal Left and the neoconservative Right came to dominate their respective political parties. Despite their antipathy toward each other, these groups had more in common than most cared to admit (until they were united by a common foe, the average American voter, as represented in Washington, D.C. by Donald J. Trump). And, now that Trump is in power, these two groups have essentially become one, with the likes of Bill Kristol proudly declaring that he was “bringing out [his] inner Liberal” not long ago. Everything that the democratic globalists talk about today is supposedly meant to better preserve democracy in the age of autocrats. Yet, there is little about these groups that is democratic. They are nothing more than a band of craven elites, engaged in a mad dash for increasing amounts of power, while attempting to stymie the political will of less fortunate Americans. Trump represents the first real challenge to their dominion over elite politics and that, more than anything, is why they hate him. Normally, elites are better educated and wiser than the average citizens of their countries. Very often, I’ve found that to be the case when studying other great historical powers or interacting with leaders from developing countries. But, thankfully, in the case of the United States (and in other Western societies today as well) ordinary people often possess more wisdom and common sense, than the detached and plutocratic elites in Washington, New York, and Los Angeles. The true tragedy is that the feckless American elites possess all of the power, the benefits, and influence—despite lacking both the experience and, therefore, the wisdom that would normally warrant their greater levels of power and influence. Since the end of the Cold War, when the United States was at the apex of its power, the democratic globalists in Washington aligned with the financial interests of Wall Street and Silicon Valley to craft a set of foreign and economic policies that strengthened the coastal enclaves at the expense of the middle of the country. Free trade, open borders, and endless warfare in places most Americans could not find on a map (and few—including the democratic globalists—would dare to go) became the policy norm. Why did the United States find itself in a series of conflicts that stretched from the Balkans to southern Asia (and everywhere between)? Well, the neoliberals during the Clinton and Obama years argued it was to protect helpless and defenseless populations. And why did the United States soon find itself waging inconclusive, interminable wars in the Greater Middle East during the Bush Administration? It was nominally in response to the horrific 9/11 attacks. But, by 2002, both the War in Afghanistan and the eventual War in Iraq had become disassociated from any serious retaliation against al Qaeda for the 9/11 attacks. 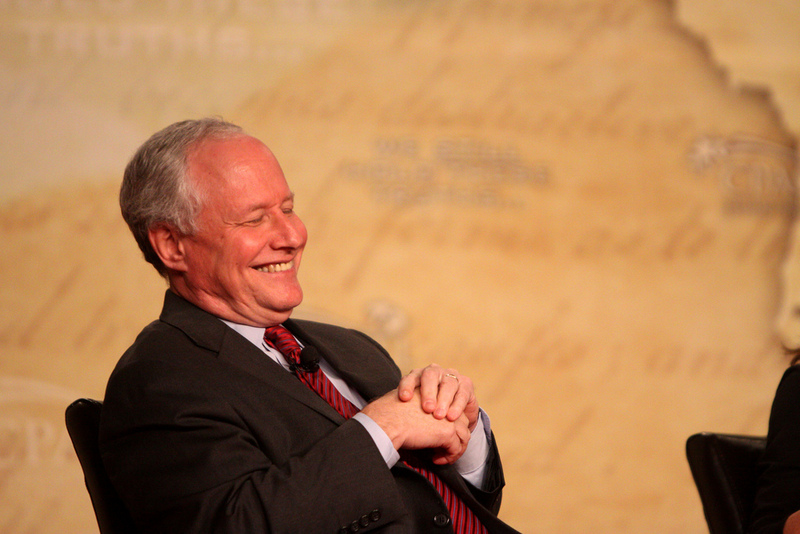 The neocons wanted to socially and politically re-engineer the Middle East by spreading democracy there at gunpoint. Interestingly, of course, the toxic admixture of democracy promotion through humanitarian warfare did not lead to greater levels of freedom and long-term regional stability that favored the United States. Nor did the cult-like worship of free trade and unlimited immigration. Far from it. Instead, the toxic tinkerers who populate the ranks of democratic globalism created more problems for the world. Thanks to their meddling in the Middle East, for example, Iran—an actual threat to the United States and its allies—was loosed upon the world. Meanwhile, the jihadi terror organizations that attacked the United States on 9/11 were empowered and allowed to proliferate across the entire Arab world during the Arab Spring (which was, in fact, nothing more than an Islamist Winter). What began as a punitive expedition in the foothills of Afghanistan devolved rapidly into a region-wide invasion, saddling America’s military and its taxpaying citizenry with massive costs and making the country less secure, not more. The democratic globalists were, at best, simply wrong about the threat that Iraq posed (and presented incorrect solutions to that reputed threat) or, at worst, they simply lied and exaggerated about the Iraqi nuclear weapons threat in order to implement their absurd theory for turning the Mideast into the Midwest. In either instance, the democratic globalists did everything they could to insulate their pet project away from the popular will of the American people. After all, everyone could support hunting Osama Bin Laden and his al Qaeda to the ends of the Earth in response to 9/11. Very few understood why the United States decided to pour trillions of dollars into “rebuilding” Afghanistan. And, once the truth about Iraq became evident—that it was a bad investment—few Americans could support the war. Yet, Donald Trump is being accused of destroying democracy by the same forces that got the country into the mess that it’s currently involved in—by the same people who assiduously built up their hold on America’s institutions over the last four decades while making those power centers increasingly isolated away from average Americans. Trump is returning representative democratic principles to a Washington that has come to resemble the capital of any other socialist plutarchy—God help him in his quest to nation-build at home rather than abroad and woe be unto the average American should his project to reassert classical American norms in national government fail.